Is Store-Brand Infant Formula a Good Choice? 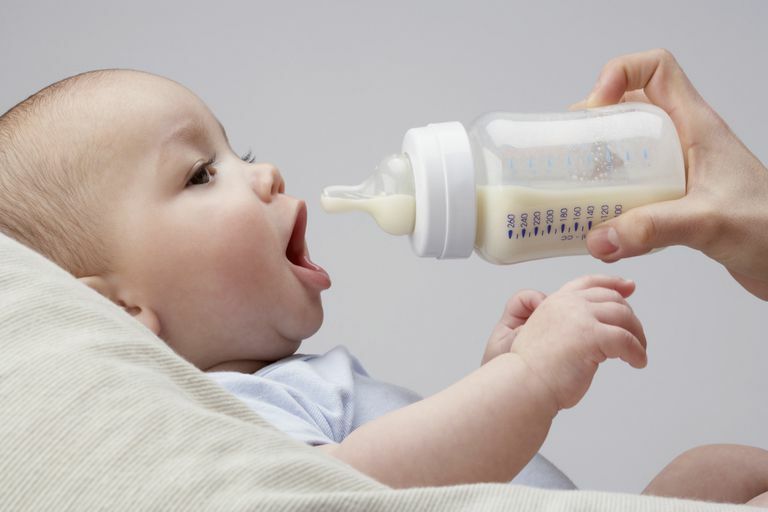 All infant formula brands sold in the United States must meet the minimum nutritional requirements of the Federal Food, Drug and Cosmetic Act (the "Infant Formula Act") and FDA regulations. This standard doesn't mean that all baby formula brands are exactly the same, but any of the major brands, such as Enfamil, Similac, or Gerber Good Start, and store brands from Walmart, Target, or Kroger, should meet your baby's basic nutritional needs. They are certainly safer than using a recipe to make your own homemade baby formula. Although all infant formula must meet FDA requirements, there are differences among brands. Not even considering the differences between milk-based formula, soy, and lactose-free, etc., milk-based formulas aren't exactly the same. For example, Gerber Good Start (formally Nestle or Carnation Good Start) is made with 100 percent whey protein, while Similac and Enfamil are made with a combination of whey and casein proteins, like breastmilk. Another difference is that Similac is made without palm olein oil as the predominant source of fat, while Enfamil is made with palm olein oil. Of course, each brand of formula markets the reasons that their recipe is the best, but there is no official head-to-head study that shows that one brand is much better for your baby than another. Even the American Academy of Pediatrics has never taken a real stand and made any kind of recommendation about formula feeding, except to say that breastfeeding is preferred over formula and that you shouldn't use a low-iron infant formula. And store-brand baby formulas also include newborn, toddler added rice, organic, and soy formula options. Most contain DHA and ARA, prebiotics, and nucleotides, just like brand-name infant formulas. Almost all—including store brands made for Walmart (Parent's Choice), Target (up & up), Walgreens (Well Beginnings), and Kroger (Comforts for Baby), etc.—are made by the same manufacturer: Perrigo Nutritionals. And while the store-brand baby formula is not FDA approved, neither is the name-brand formula. According to federal guidance, the "FDA does not approve infant formulas before they can be marketed. However, manufacturers of infant formula are subject to FDA's regulatory oversight. Manufacturers must ensure that infant formula complies with federal nutrient requirements. Manufacturers are required to register with FDA and provide the agency with a notification before marketing a new formula." There was a warning about infant formula from the FDA in 2004, but it was concerning a Chinese infant formula called Guan Wei Yuan. The FDA warned consumers not to use this formula "because the safety and nutritional adequacy of infant formula from China are unknown." There was also a recall of 1 million cans of powdered infant formula made by Wyeth Nutritionals, Inc., which makes some store-brand formula for Albertsons, Safeway, Walgreens, and Parent's Choice. The recall was because of a worry of bacterial contamination, but that recall occurred in 2002 and there have been no recent warnings about these formulas. Like brand-name baby formula, store-brand baby formula meets the same nutrient specifications that are listed in FDA regulations, so parents should feel comfortable using either type of formula if they aren't breastfeeding. FDA. Food advisory committee meeting on infant formula. FDA. Questions & Answers for Consumers Concerning Infant Formula.